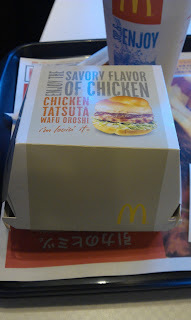 The original Chicken Tatsuta was one of my first reviews for this blog back in 2011. Seeing as the Tatsuta is a common limited time item, I've had the chance to try it again a couple of times since then, but because I was so disappointed with it on my first try, I've never bothered to give it another go. If I can't get anything special, I much rather get local food rather than have something a second time. 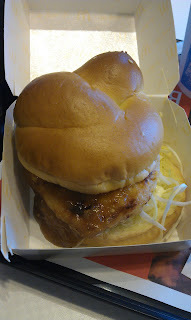 Probably someone at McDonald's read my review of the original, because the bun was still the soft, tasty bun I had with the orginal, but the dry, chewy chicken had been replaced with a much softer, juicer piece. Unlike the original I tried, with this piece of chicken I could definitely taste the ginger marinade and the slight starch coating they added to the meat before frying. I suspect the first one, either had too much starch added, or was cooked far far too long. 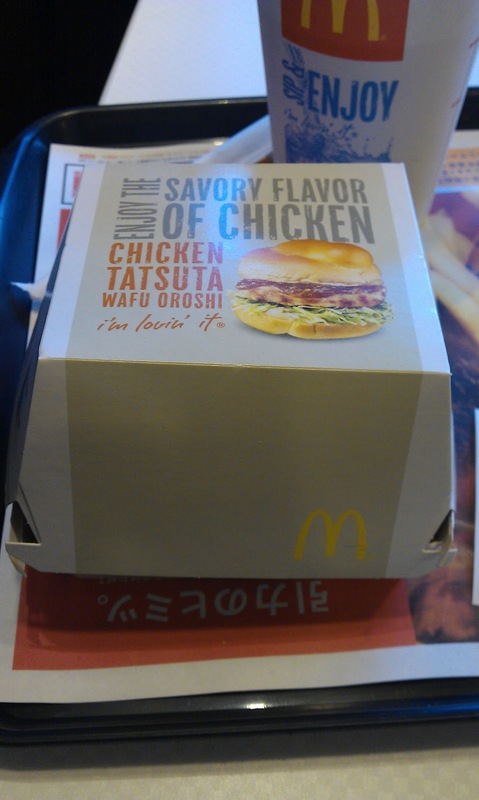 What made the 'Wafu Oroshi' a special edition, was two ingredients, first, though I am not normally a fan of sweeter sauces, especially on burgers, this special sauce was very tasty, though the amount of it, coupled with the mayo made for a messy eating experience. The sauce was not the only special topping on this sandwich, but instead of lettuce, the chicken was sitting on a bed of radish (daikon) pieces. Coming from Korea where they eat a lot of radish, I enjoyed it, but I could see where this mixture of ginger, soy, garlic and radish would be an off-putting flavour to most foreigners. A quick Google search will supply you with English reviews saying how much they hated this variant, but it seemed quite popular with the Japanese customers I saw ordering. 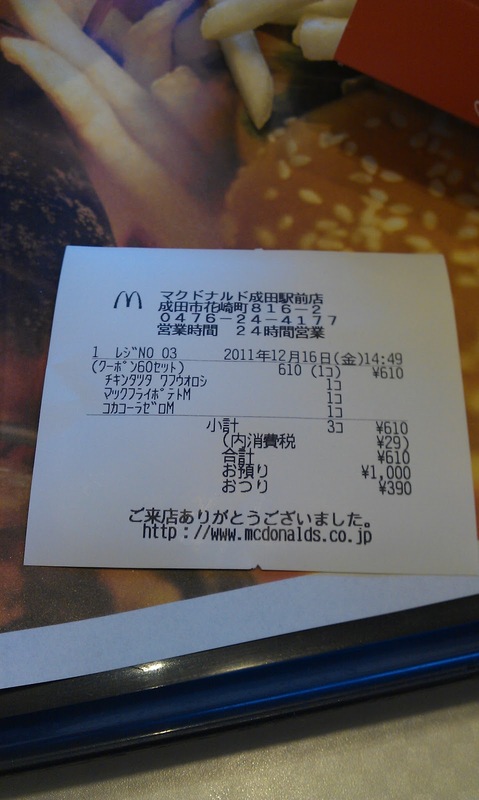 Also a nice surprise was that even though it had more ingredients, the combo cost 20Y (~25 cents) less than the original I had just a few months prior, a price decrease is always welcome, especially in Japan, where eating usually kills my budget.